If there were nine villains, and Booster Gold defeated six of them, how many villains remain? 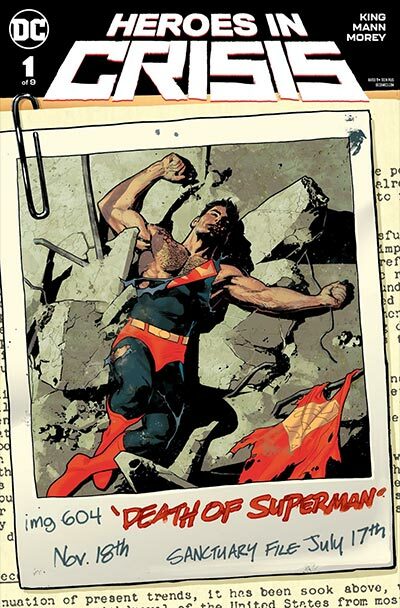 DC Comics' March 2019 solicitations for Heroes in Crisis #7, released yesterday, may include a bit of a spoiler, so read at your own risk. It seems to me that we've been getting a lot of spoiler-y details about this series recently. 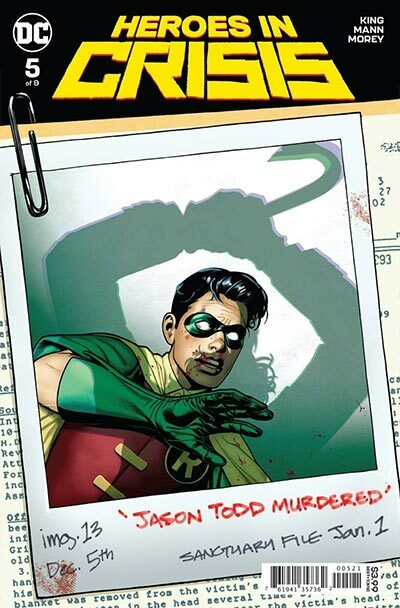 We got our first glimpse at the controversial cover for this issue last week, and even writer Tom King objected to the way it appears to identify the killer (and sexualize a corpse). Now comes this solicitation, which barely avoids explicitly clearing someone of suspicion of the murders. 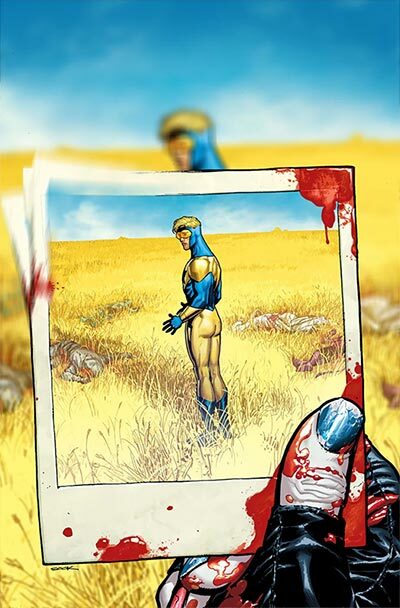 Heroes in Crisis is a nine issue series, and we're only up to issue seven. 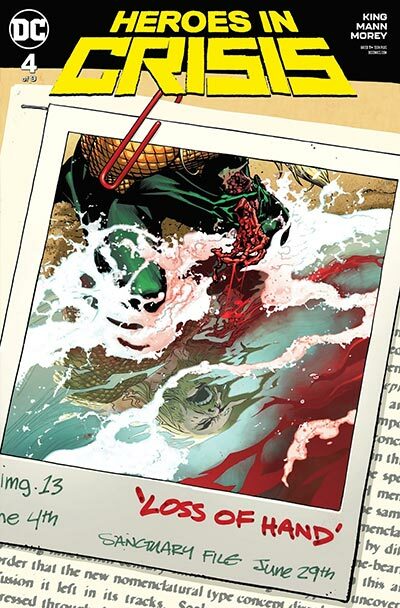 I'm starting to think that the only way I'll get to the end without having DC spoil it early is to bury my head in some sand. 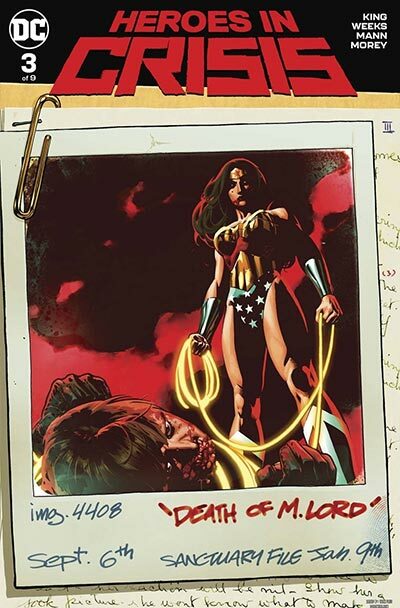 The solicitations also include two Injustice 2 collections, Volume 4 and 5, both of which reprint issues featuring appearances by Booster Gold, plus a new reprint of the Zero Hour miniseries. 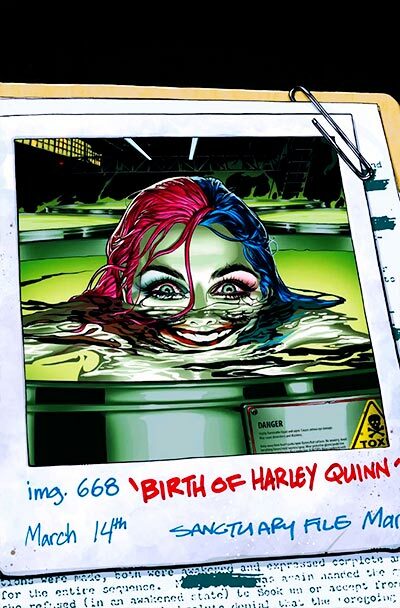 You can read the solicitations for all DC books shipping in March — if you dare! 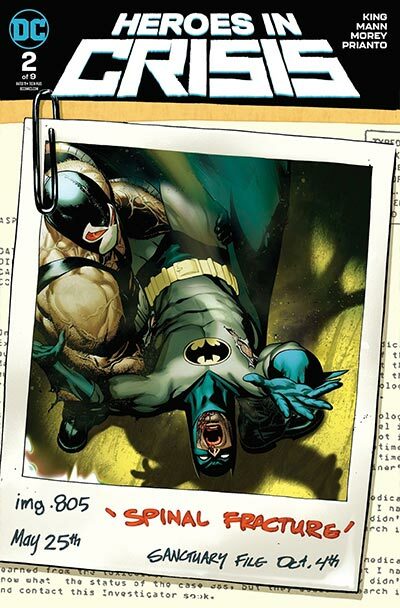 — at Newsarama.com. Wait, was it Sanctuary itself that killed the heroes? I guess we'll find out in February. I think it isn’t necessarily Booster who kills the heroes in the sanctuary but it is the combined ‘effort’ of all the heroes who visited the sanctuary, and with each confession the system software is slowly destroyed until it cannot difference between helping heroes or killing them. That's essentially the same thing that turned HAL 9000 into a killer. 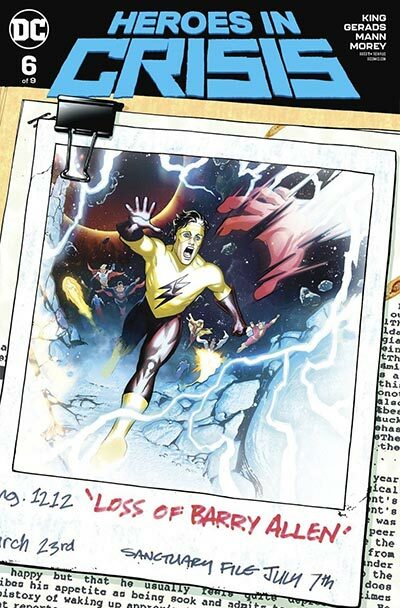 HEROES IN CRISIS is 2001 for 2018!